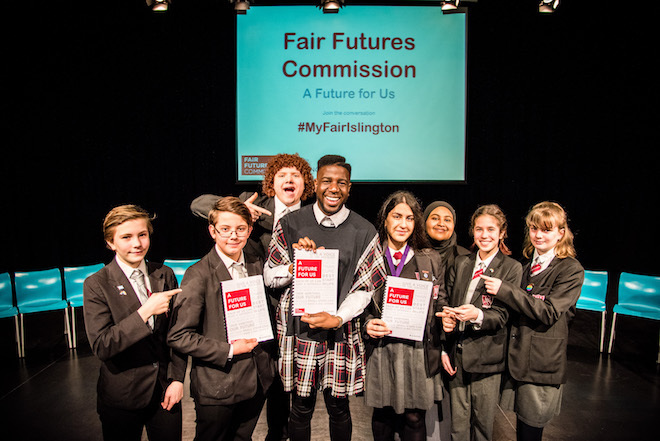 We were delighted that Jermain Jackman, chose his ‘old school’ to host the Fair Futures report which was commissioned by Islington Council last year. Jermain has chaired the Commission whilst studying Politics at Leeds University and managing his music career! 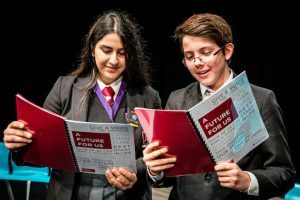 Our students hosted and participated in this important event which launched the recommendation of an Islington Guarantee that would ensure access to work experience and emotional support for young people while at school. Jeremy Corbyn Leader of the Opposition, opened the event by praising Head teacher Susan Service’s vision of ‘Every Child a Scholar‘ and the school’s commitment to serving its community.